Manuel Zach blogs about how to use Puppet and the new Solaris RAD's REST interface introduced in Solaris 11.3. Solaris RAD is really interesting if you want to manage your servers via a programmatic interface. It is possible to add a disk drive to a kernel zone by specifying its physical location intead of CTD. This is very nice on servers like x5-2l with pass-thru controller when all 26 local disks are visible like this. Solaris 11.3 Beta is available now. There are many interesting new features and lots of improvements. Some of them have already been available if you had access to Solaris Support repository, but if not now you can play with ZFS persistent l2arc, which can also hold compressed blocks, or ZFS/lz4 compression, or perhaps you fancy a new (to Solaris) OpenBSD Packet Filter, or... see What's New for more details on all the new features. Also see a collection of blog posts which have more technical details about the new features. New batch of blogs about the new update. Another great article from Roch, this time explaining Zero Copy I/O Aggregation in ZFS in Solaris 11. There is an excellent blog entry with more details on recent changes to ZFS L2ARC in Solaris 11. The latest update to Solaris 11 (SRU 11.2.8.4.0) has a new feature - it can identify physical locations of F40 and F80 PCI SSDs cards - it registers them under the Topology Framework. It also means that all FMA alerts should include the physical path as well, which should make identification of a given F80/LUN, if something goes wrong, so much easier. Solaris SRU 11.2.8.4.0 delivers persistent L2ARC. What is interesting about it is that it stores raw ZFS blocks, so if you enabled compression then L2ARC will also store compressed blocks (so it can store more data). Similarly with encryption. Solaris 11 provides "The Remote Administration Daemon, commonly referred to by its acronymand command name, rad, is a standard system service thatoffers secure, remote administrative access to an Oracle Solaris system." RAD is essentially an API to programmatically manage and query different Solaris subsystems like networking, zones, kstat, smf, etc. Let's see an example on how to use it to list all zones configured on a local system. self.description = "Solaris Zone Manager"
There are many simple examples in zonemgr.3rad man page, and what I found very useful is to look at solariszones/driver.py from OpenStack. It is actually very interesting that OpenStack is using RAD on Solaris. RAD is very powerful, and with more modules being constantly added it is becoming a powerful programmatic API to remotely manage Solaris systems. It is also very useful if you are writing components to a configuration management system for Solaris. Bryan Cantrill's take on NetApp vs. ZFS. The server supports 24x disks in front and another two disks in the back. We use the front disks for data and the two disks in the back for OS. In the past we uses RAID controller to mirror the two OS disks, while all disks in the front were presented in pass-thru mode (JBOD) and managed by ZFS. Recently I started looking into using ZFS for mirroring the OS disks as well. Notice in the above output that the two disks in the back of x5-2l server are identified as: SYS/RHDD0 SYS/RHDD1. This is very useful as with SAS the CTD would be different for each disk and woudl also change if a disk was replaced, while the SYS/[R}HDDn location would always stay the same. See also my older blog entry on how this information is presented in other subsystems (FMA or ZFS). In our environment the AI manifest is generated per server from a configuration management system based on a host profile. This means that for x5-2l servers we generate AI manifest as shown above, but on some other servers we want OS to be installed on a RAID volume, and on a general server which doesn't fall into any specific category we install OS on boot_disk. So depending on the server we generate different sections in AI manifest. This is similar to derived manifests in AI but instead of being separate to a configuration management system in our case it is part of it. We used to use pkgbuild tool to generate IPS packages. 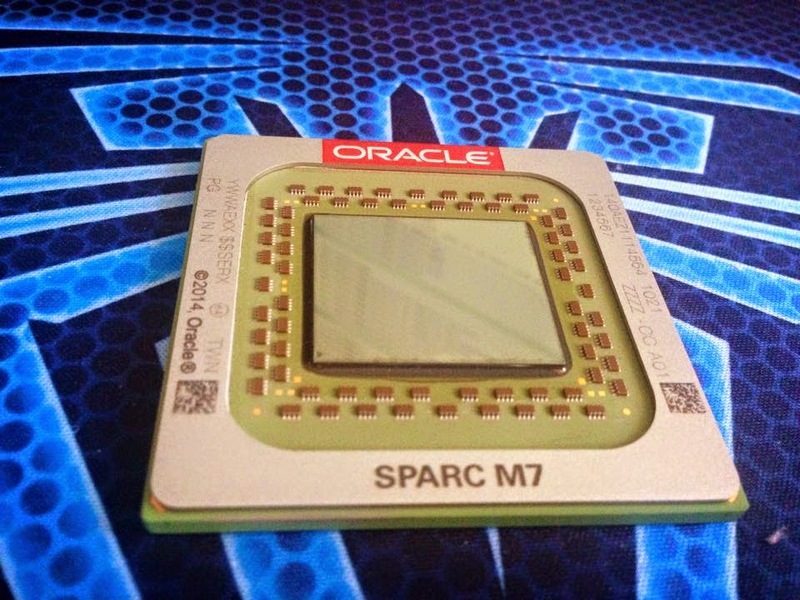 However recently I started working on internal Solaris SPARC build and we decided to use IPS fat packages for x86 and SPARC platforms, similarly to how Oracle delivers Solaris itself. We could keep using pkgbuild but as it always puts a variant of a host on which it was executed from, it means that we would have to run it once on a x86 server, once on a SPARC server, each time publishing to a separate repository and then use pkgmerge to create a fat package and publish it into a 3rd repo. Since we have all our binaries already compiled for all platforms, when we build a package (RPM, IPS, etc.) all we have to do is to pick up proper files, add metadata and publish a package. No point in having three repositories and at least two hosts involved in publishing a package. In our case native IPS manifest is a better (simpler) way to do it - we can publish a fat package from a single server to its final repository in a single step. What is also useful is that pkgmogrify transformations can be listed in the same manifest file. Entire file is loaded first and then any transformations would be run in the specified order and new manifest will be printed to stdout. This means that in most cases we can have a single file for each package we want to generate, similarily to pkgbuild. There are cases where there are lots of files and we do use pkgsend generate to generate all files and directories, and then we have a separate file with metadata and transformations. In this case pkgbuild is a little bit easier to understand compared to what native IPS tooling offers, but it actually is not that bad. Let's see an example IPS manifest, with some basic transformations and with both x86 and SPARC binaries. set name=pkg.summary value="PAM pam_access library"
set name=pkg.description value="PAM pam_access module. Compiled from Linux-PAM-1.1.6." set name=info.maintainer value="Robert Milkowski "
Interesting blog entry on Multi-CPU Bindings introduced in Solaris 11.2. Bryan Cantrill on SmartOS + Docker. I'm a proud owner of the fastest CPU in the world! Recently Oracle integrated persistent L2ARC in ZFS and this is currently available in the ZFS-SA. It is not yet in Solaris 11 but it should be coming soon. Finally! To make the very good news even better - it stores blocks in their raw format, so if for example you have compression enabled in your pool then L2ARC will store blocks compressed as well (similarly for encryption). If your data compresses well you L2ARC suddenly became much bigger as well.